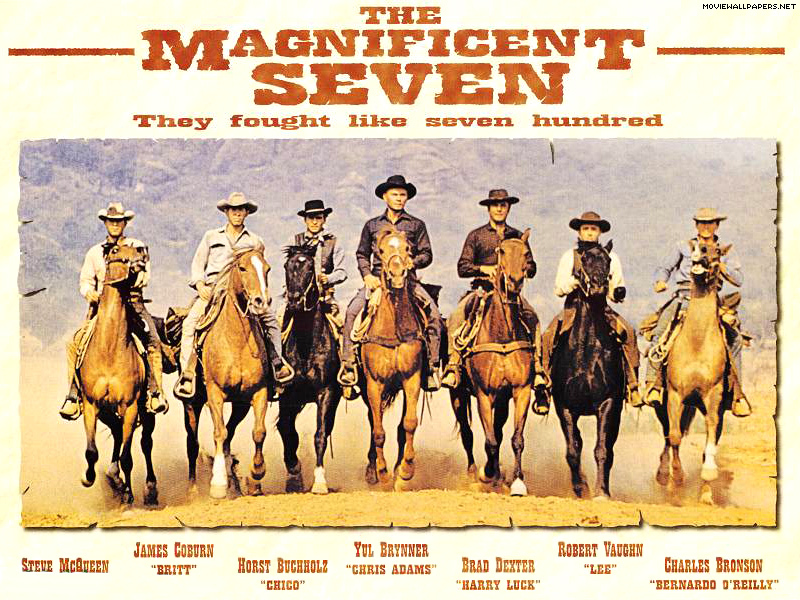 According to a recent report from The Sun, Matt Damon, Kevin Costner, and Morgan Freeman might join Tom Cruise's remake of the classic western The Magnificent Seven. There's no word if there's any truth behind these casting rumors, but I could see each of these actors in the film. Damon would be taking on the role of Vin Tanner previously played by Steve McQueen, but unfortunately, Damon is no Steve McQueen. Costner would possibily be taking on the part of James Coburn’s character Britt, and Freeman would be taking on the role of the villain Calvera. This could be a great role for Costner. I don't know if you saw the History Channel mini series Hatfields & McCoys, but Costner was freakin' awesome in it! It was the best thing he's done in a hell of a long time, and it would be cool to see him take on another western. The story follows a group of American gunmen who are hired to protect a small Mexican village from a group of savage bandits, led by Calvera. It's funny because I can see Damon, Costner, and Freeman taking roles in this movie, but Cruise just doesn't fit the cowboy mold, and he would be taking on the role of Chris Larabee Adams, who was played by Yul Brynner. For those of you who haven't seen the original 1960 western I suggest you watch it. It's one of my favorite westerns of all time, and I think many of you would enjoy it. If you have seen the orignal film, what do you think about this remake? Kevin Costner to Join JACK RYAN and THREE DAYS TO KILL?